This book first surveys the trials and successes of democratic thought and politics from the Greco-Roman era to the medieval and early modern world. Next, at a much slower pace, it examines 17th-century England and its North American colonies, and the revolutions of the colonies and of France. 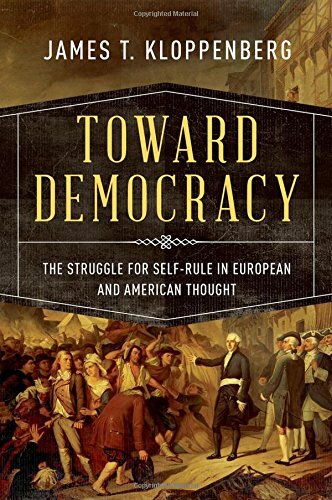 Kloppenberg follows with an evaluation of democracy in early 19th-century Europe and the United States. Although the coverage is full, he focuses on the US and concludes with an exploration of the American Civil War and its aftermath. Much of the volume (which includes more than 100 pages of end notes) densely summarizes mountainous scholarly literatures that themselves are rife with competing interpretations. Available online are an additional two to three hundred pages of apparatus about incompatible academic analyses. Yet the author suggests some striking over-arching causal arguments. Civil war—in England, in France, and in the United States—retarded impulses to democratic rule and devastated the hopes of democracy's proponents. The democratic revolution in 18th-century North America propelled that in France, and the failure of the French Revolution arrested democratic developments in Europe. The author accounts for the different outcomes in the new United States and radical France: the liberal religious feeling in America contrasted with a French sensibility divided between extreme secularists and rigid Roman Catholics. And the disastrous outcome in France transformed America and led to the rise of a racially compromised democracy in the United States from the 1820s to the 1850s.